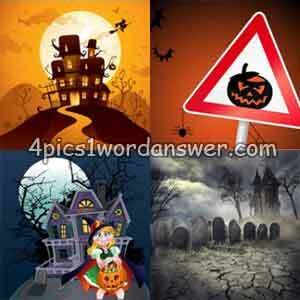 7 letters Halloween 2018 pictures description with four pics one word the house on the hill, watch out! scared! misty graveyard.